Posted on February 20, 2015 by admin Posted in Seafood	. 1/4 cup Bentley’s Batch 5 Reserve or Hot Barbecue Sauce for marinade. Additional Bentley’s Batch 5 for basting and serving. Put the shrimp in to a bowel and pour the ¼ cup of Bentley’s Batch 5 over it and mix the shrimp so they are completely covered. Let the shrimp marinate for 30 minutes while you prepare side dishes and your grill. Prepare your grill at medium heat. Place the shrimp on metal or bamboo skewers. If you use bamboo skewers make sure you let them soak for 30 minutes in water so they don’t burn on the grill. Place the skewers on the grill and let it cook for 3 or 4 minutes on one side. Baste the shrimp then turn them over and baste the other side and let it cook for 3 or 4 minutes and then remove from the grill. Do not use the marinade for basting. 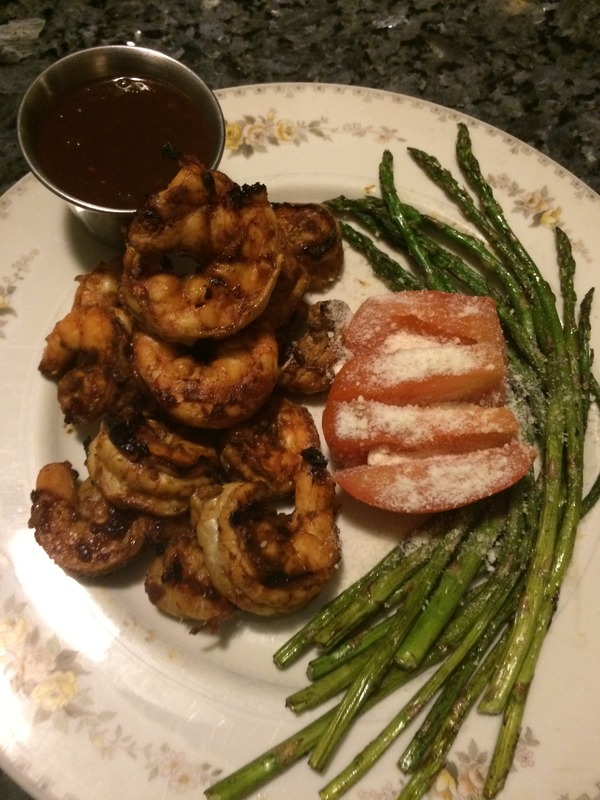 Serve the grilled shrimp with a side bowel of Bentley’s Batch 5 Barbecue Sauce for dipping. Note: Be careful not to overcook the shrimp. They will be done when each sides turns pink. Tags: Barbecue Grilled Shrimp	. Posted on February 20, 2015 by admin Posted in Recipes	.